P Jamas is a line of luxury sleepwear and robes, founded in 2000 by designer Esperanza Diaz Manas. The founder’s experience making private label garments for sleepwear and intimates lines from some of today’s top American designers inspired her to start her own label. The brand makes its own fabric from Egyptian pima cotton, which is spun in Switzerland and woven in Italy, for a unique, luxe experience. Quality is a priority for the founder, who insists on extraordinary needlework and fine details, such as mother-of-pearl buttons from Japan. Sleep gowns, pajama sets, and robes by P Jamas are made to last, and their timeless designs and muted colors mean they’ll always be in style. 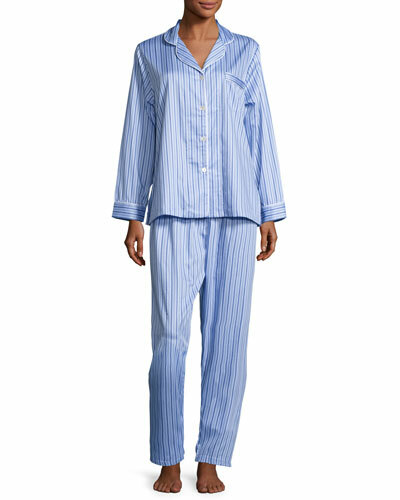 Shop a selection of women’s sleepwear by P Jamas at Bergdorf Goodman. Eberjey two-piece pajama set in jersey with contrast tipping. Notched collar; button front. Long sleeves with banded cuffs. Left chest patch pocket. Matching pants with elastic pull-on waist. Modal/spandex. Imported. Eberjey "Gisele" short pajama set. Rounded notch collar; button front. Long sleeves with banded cuffs. Chest patch pocket. Even hem. Includes matching shorts with elasticized waist. Pull-on style. Modal/spandex. Imported. 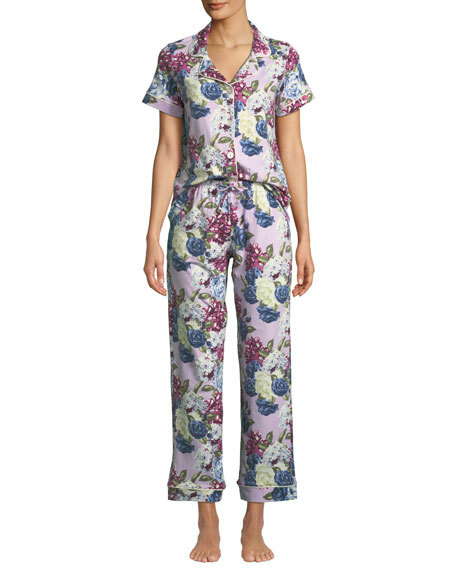 Eberjey two-piece jersey pajama set in Mother's Blossom pattern. Notched collar with button front. Long sleeves. Front patch pocket. Straight hem. Includes pants with elasticized waistband. Modal rayon/spandex. Hand wash. Imported.